ArcheAge is to become more focused on open world content in future updates, moving away from instanced dungeon content in order to bring about better interactions and relationships between its players. That’s according to XL Games’ producer Yi Kwangro and design team manager Ham YongJin, who both appear to want to infuse ArcheAge with the spirit of community and friendship. Aww. “We believe that becoming more powerful through leveling and item farming is a means, not the end,” said Yi Kwangro. “We don’t want to focus on attaining power only, because we want the players to interact with each other and create relationships and communities that lead to lots of different, creative gameplay experiences. 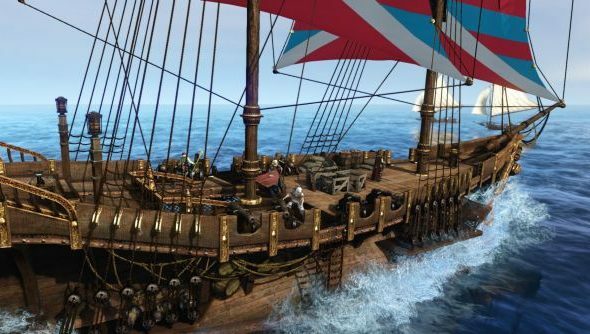 Social interactions between players would appear to have landed way up on XL Games’ list of priorities as development of ArcheAge continues. Asked what they considered to be the end-game objectives of ArcheAge in its current form, the developer answered. Last week, ArcheAge launched its Secrets of Ayanad update, which introduced the Diamond Shores zone, new abilities, weapons and, why not, a multi-dimensional library. There’s a trailer a few inches north of here.